A step closer to a dream coming true. A year ago, we shared the story of Gema Picado. Her dream was to bring the community of Las Noventas a new school to give all the children in the area with access to education. We are happy to say that, earlier this year we reached our fundraising goal, bringing us one step closer to achieving Gema’s dream. The news of reaching our fundraising goal was bittersweet given the unrest and violence that has unravelled in Nicaragua over the past five months. Unfortunately, as a result of this unrest, educational infrastructure programs, classes, and additional volunteer/fundraising efforts through our charity partner SchoolBOX were suspended since late April. While the situation in Nicaragua is far from stable, SchoolBOX has started to slowly and cautiously resume operations this month. Assuming all goes well, the plan is now to construct the school prior to the spring of next year. Please note: all funds are held in a secure trust only to be released for the construction of this school. We have always been and will continue to be, dedicated to the elimination of extreme poverty by making education more accessible. Often, communities that are the most in need of change find themselves in countries that may not always be stable or safe. While as a non-profit, this is our first time experiencing this degree of unrest, we understand that it is a reality of working in these countries and remain committed to helping those in need. Although we will not be kicking off our next project until later this year, our partner SchoolBOX was seriously impacted by this crisis. Unlike BuildWoW, they rely on volunteer trips as a significant portion of their fundraising efforts which, for obvious reasons, they could not facilitate this year. 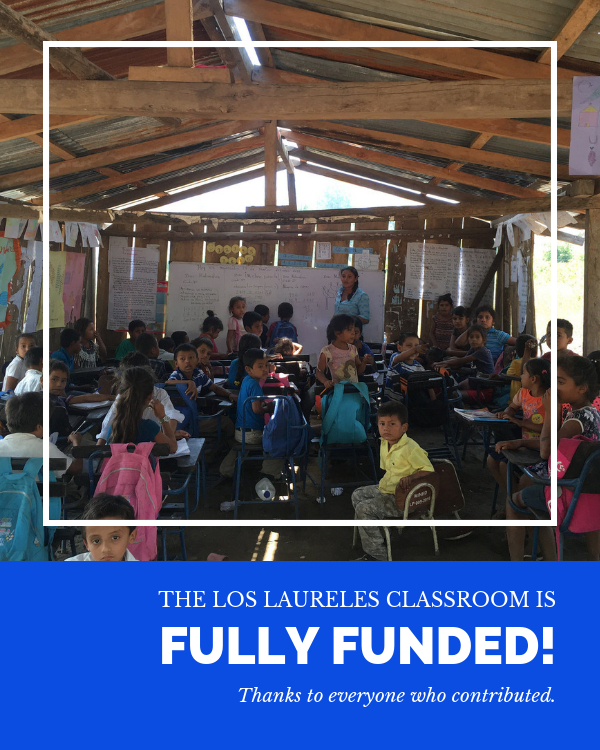 Although currently listed being “our next school in Nicaragua”, we will be contributing all donations between now and December to help support this great organization. If you’d like to help, click here. Thank you for continuing to be part of the Building Walls of Wisdom community. Your support means everything to us.